This is Altar V from Tikal, which is one of the more ornate carvings still found at Tikal. 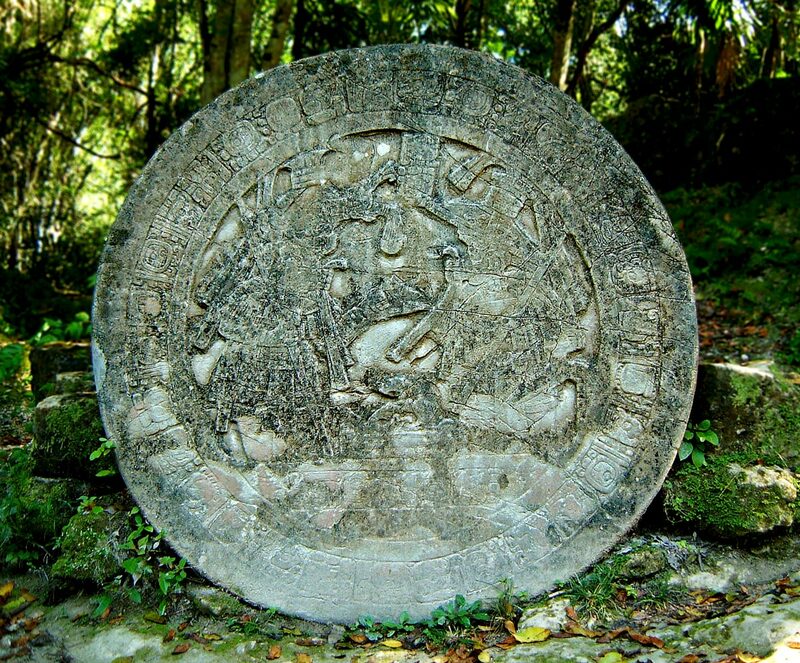 The Altar is paired with Stele 16 and was probably built in around 711AD to commemorate the re-burial of Lady Kalajuun Une’ Mo’ (Lady Twelve Macaw) who was the wife of one of Tikal’s greatest rulers, Jasaw Chan K’awiil I. The reburial of ancestors was common, and still takes place today, and was part of a ritual related to the modern day “Day of the Dead” celebration.